Russia and India seek to coordinate efforts on introducing trade in national currencies, a declaration adopted at SPIEF said. ST. PETERSBURG (Sputnik) — Russia and India seek to coordinate efforts on introducing trade in national currencies, the St. Petersburg Declaration by the Russian Federation and the Republic of India adopted Thursday on the sidelines of the St. Petersburg International Economic Forum (SPIEF) said. 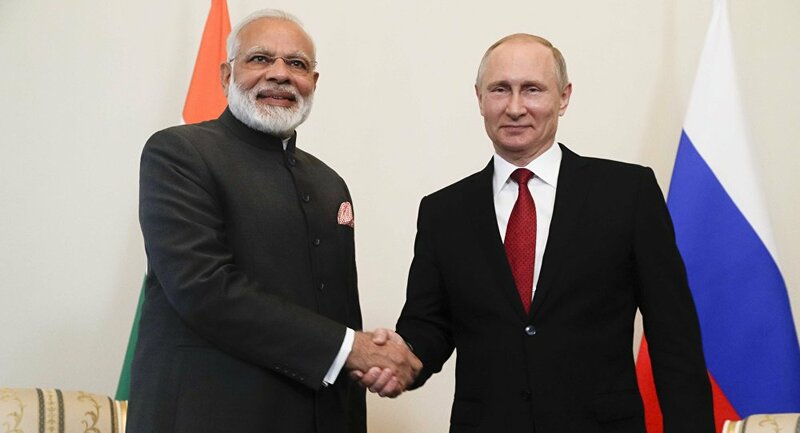 "We will coordinate our efforts to promote settlements of Indian-Russian trade in national currencies to reduce dependence of our bilateral trade on other currencies. We will jointly encourage our business communities to use the existing workable schemes and mechanisms for settlements in national currencies elaborated by the Reserve Bank of India and the Bank of Russia," the declaration read. The two states also intend to coordinate positions "to develop a credit rating industry that is transparent for the market participants and independent from political conjuncture." "We acknowledge the importance of developing economic cooperation at the regional level. We will facilitate an early commencement of negotiations on a free trade agreement between the Eurasian Economic Union and the Republic of India," the document said.